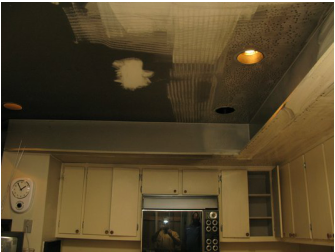 Water damage can happen anywhere, anytime. In fact, water damage is the #1 cause of insurance claims in Florida. We provide immediate 24 hour service to help you get your home or commercial property back to normal as quickly as possible. 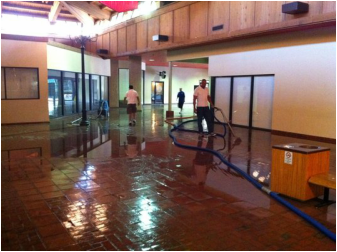 And, no job is too big or small - we're equipped to dry out water damage of any magnitude. Our certified team is ready to assist you. Call us at 305-285-0030. Fire damage continues even after the fire has been extinguished. Smoke damage can affect everything from walls and carpet to the pipes, ducts, and structure of your home. It takes an experienced eye to assess the full extent of smoke damage. Our restoration professionals can help prevent further damage, determine which items can or can’t be saved, and provide estimates and services for thoroughly cleaning and deodorizing your home. Don't be fooled by your carpet's seemingly clean appearance. Carpets are made to disguise dirt. They also function as a filter, trapping soil, dust, and air pollutants. Vacuuming frequently is good practice, but only steam cleaning can get to the layers beneath the surface to deep clean, deodorize and disinfect. If your sofa and chairs need freshening up, we can take care of that too. Mold thrives in warm, humid environments, making Miami the perfect breeding grounds for mold to reproduce. The potential health effects and symptoms associated with mold exposure are quite serious, ranging from allergic reactions to asthma. If you suspect you have a mold problem, call our certified mold consultant for a diagnosis at 305-285-0030. Remember how bright your tile floors looked when they were brand new? Dirt settles in and builds up over time, causing a darker appearance. Our skilled technicians can restore dull tile and grout lines to look sparkling new. Shining hardwood floors add elegance to any space, but cleaning them can be problematic and should be handled carefully by professionals. Let Carpet Savers restore the original, natural beauty of your hardwood floors. Carpet Savers provides interior cleaning services to keep yachts and boats in pristine condition. take measurements and get you on your way to a more beautiful home or office.